Revolution Trains has received painted samples of its forthcoming BR Sturgeon departmental wagons. These long lived vehicles – with their distinctive low decks – were a vital part of the engineers fleet for more than five decades, being first introduced in the mid 1950s and still in service in the early 2000s. Originally delivered with four or seven dropside doors, the vehicles also had hinged ends and were designed to carry complete 60′ track panels or other engineers’ supplies. The doors and ends were fully removable, and not surprisingly these soon went missing, meaning that large numbers of Sturgeons spent almost their entire lives operating purely as flat wagons. Revolution is offering both types – with doors in original black livery, olive and CE “Dutch” and without doors in black, gulf red and CE yellow. Naturally the Revolution models will incorporate era-correct braking arrangements. The models incorporate NEM couplers in kinematic sockets and a large part of the underframe is a solid metal casting, making the models surprisingly weighty. 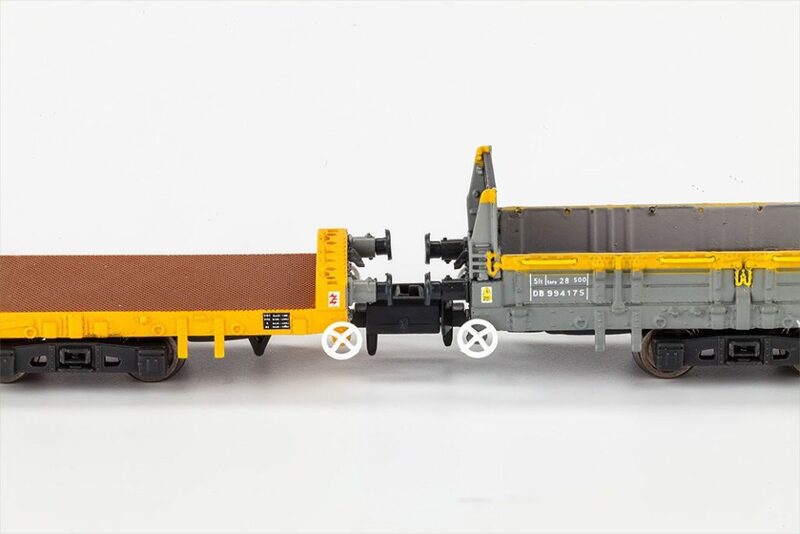 End panels on the models with doors are removable, while the end door parts will be supplied separately with the flat wagons so customers can depict whichever configuration they require. The Revolution Sturgeon also has a correct representation of the underfloor racking originally intended to allow the doors to be stowed, along with an incredibly fine depiction of the checker plate deck surface. And the versions with doors have separately pairs of fitted wire handles – 14 on each side! We think this could be our most detailed model yet! You can order your Sturgeon models here. 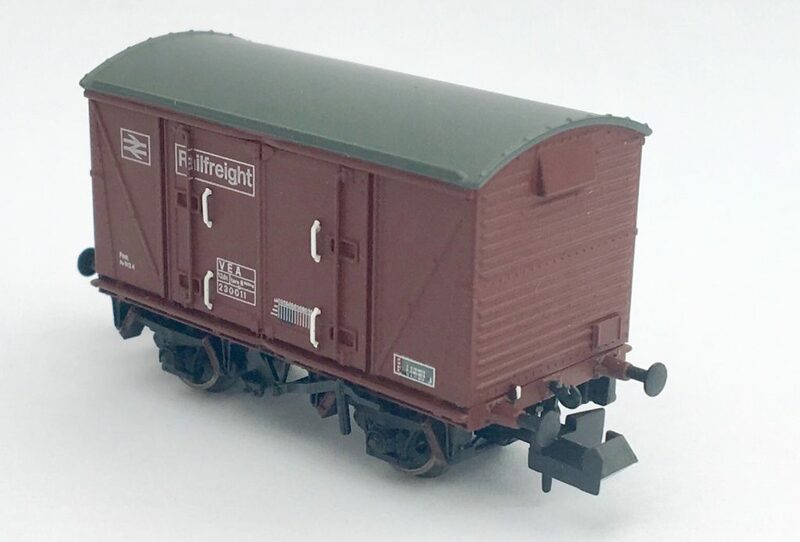 The order book will remain open on these wagons for a short while longer, then it will close and the models will be produced. We will have them on display on our stand at the York show over the Easter weekend Saturday April 20th – Monday April 22nd. 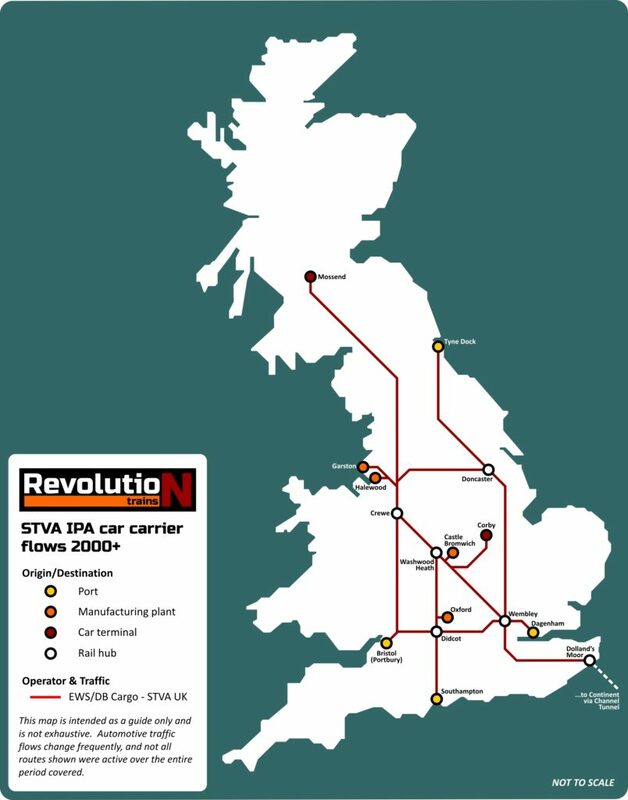 Revolution’s IPA car carriers are selling well (thanks to those who’ve ordered) and are now in tooling, but we have had some requests for more information about when, where and how these vehicles are used. 66172 approaches Didcot with 6X44 Dagenham-Mossend in 2014. This train is comprised entirely of IPA flat wagons, with and without stakes, with a single Quad set in the middle. Photo: Colin Brooks. With the generous assistance of STVA we have prepared drawing illustrating some of the sample consists for these vehicles for the last decade. 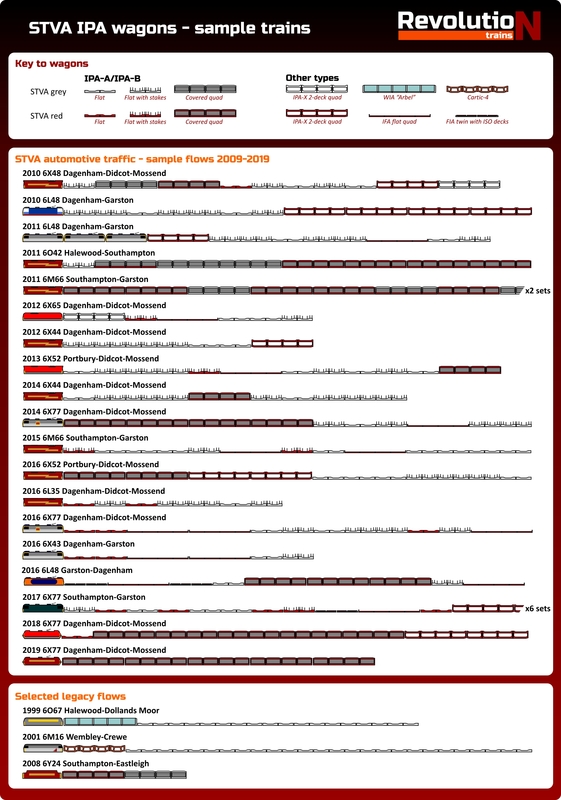 We’ve also added a few “legacy flows” from before this period. 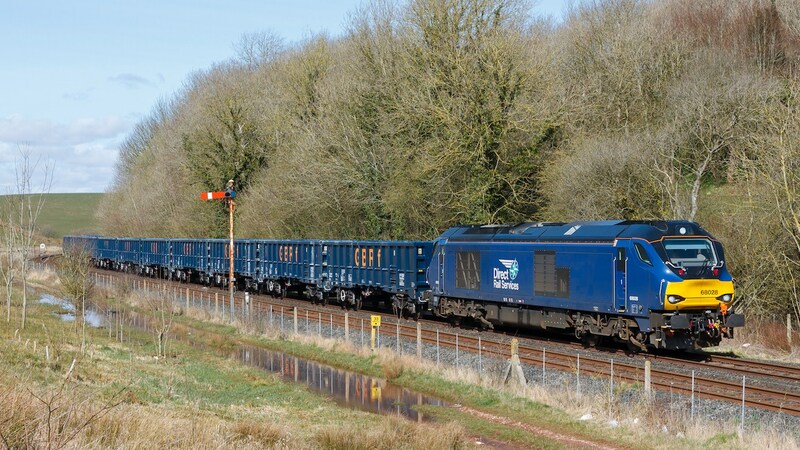 66002 on 6X52 Portbury-Mossend at Llandevenny. IPA covered quad sets are immediately behind the locomotive; the vans are on IPA-As with and without stakes. Photo: Alan Williams. 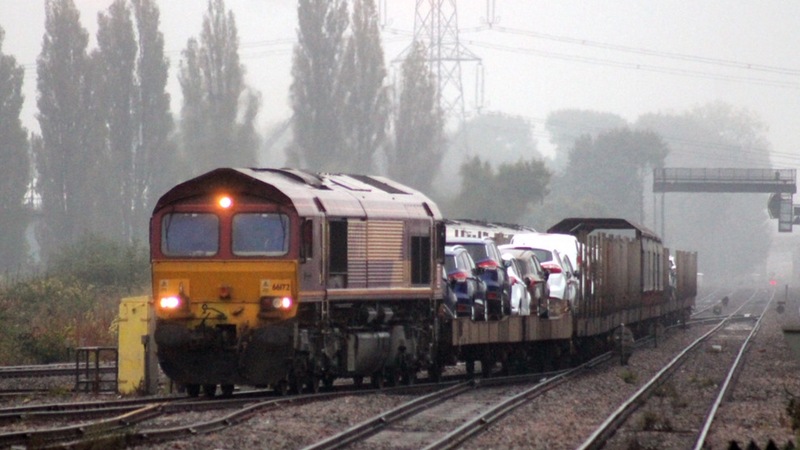 With dozens of car trains running on the network every day, this is just the tiniest fraction, but offers an indication of the sheer variety of consists and shows that when it comes to automotive traffic, literally anything goes. 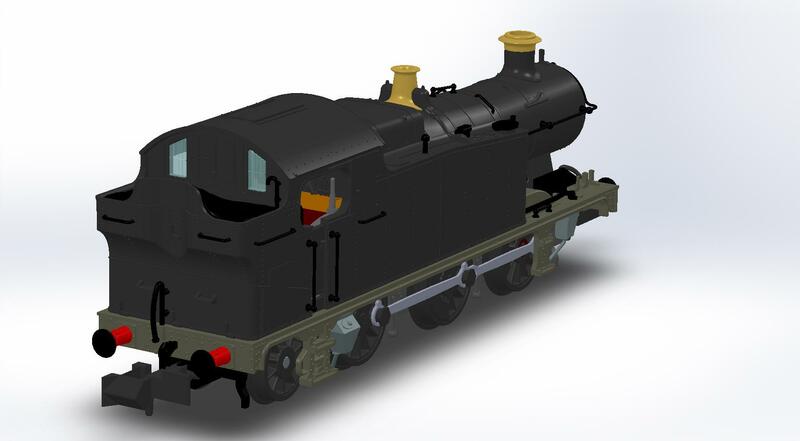 The diagram also indicates how Revolution’s IPAs can work with other models such as the N Gauge Society Cartic-4 kit and the Etched Pixels/Ultima WIA Arbel 5-unit. 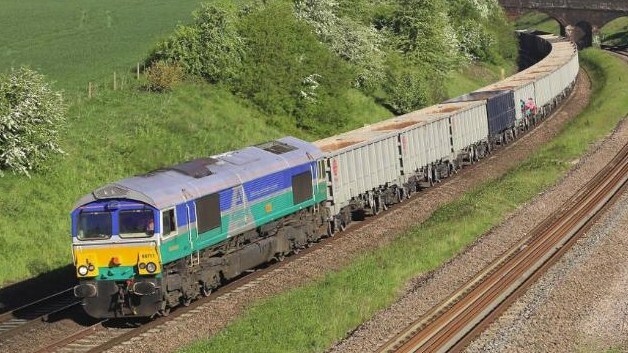 The FIA-twins fitted with ISO car carrying panels could be a possible modelling project using the Farish intermodal twins as a starting point. The biggest gap is the IPA-X twin and quad sets. 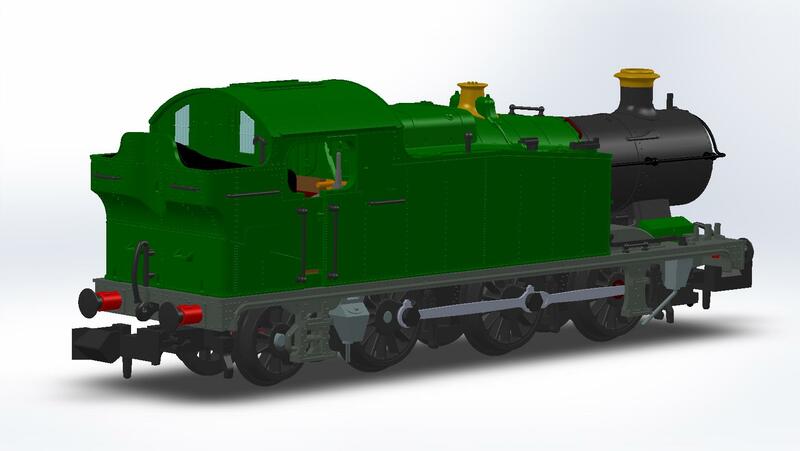 The twin has been produced by Bachmann in 4mm scale, and it would be excellent should they seek to reduce this model to 2mm. 92010 in Caledonian Sleeper livery at Northampton. There is a red Quad set immediately behind the locomotive, and behind it an FIA twin with car carrying ISO decks fitted. Photo: Trevor Plackett. If you fancy doing some of your own research to decide what models to order, we recommend using photo sites such as www.flickr.com and www.smugmug.com. One tip is use the train headcode or the origin and destination in the search box. The nomenclature around the car carriers can be confusing. Their owners STVA describe them as TDT-452 or TDT-852. This code reflects the number of axles (either four, on a twin, or eight on a quad-set) and the year of first introduction – 1952. Under TOPS they are coded IPA-A (uncovered versions) and IPA-B (covered) while to many enthusiasts all car carriers are simply referred to as “Cartics”, after the original articulated 4-unit sets (“Car-Articulated”) introduced in the 1960s. 90028 on Mossend-Southampton empties at Beattock. A mix of Quads, flats and flats with stakes, all in red. Photo: Jonathan Lewis. When built in the 1950s and 1960s the wagons were used in France and had two decks. The opening of the Channel Tunnel created demand for car carriers that could operate in Britain and Europe. The TDT-452s had UIC-approved running gear and brakes, but were out of gauge for the UK. And while a fleet of 5-unit WIA Arbel fully covered car carriers had been ordered there was a growing requirement to carry cars and the newly emerging people carriers and SUVs which were too big for these twin-decks. The answer was to remove the double-deck body and add new sides, with Channel-compliant ferry attachments, while retaining the original chassis and running gear of the TDT-452s. Introduced into service in the UK by RfD, and subsequently taken on by STVA UK on its formation in 1996, the TDT-452s – coded IPA-A under TOPS and in the UIC 43 87 4333 series – were an immediate success. However, particularly for high value vehicles such as Jaguars, Landrovers or Range Rovers, a need was identified for more protection. Some of the TDT-452s were fitted with side-stakes to allow canvas to be stretched across the sides, and while this was partly successful a more drastic solution was identified, and some of the wagons were remarshalled into 4 unit quad-sets and given roofs as well as side canvas panels. These were coded TDT0852, or IPA-B under TOPSs, and given UIC 43 87 4384-prefixed numbers. 42 quad sets were completed, and during the conversion there were some alterations to brake gear. Also, the very last three were not fitted with ferry hooks as it was realised these were redundant. On introduction the wagons were given a livery of very pale grey/white with red STVA lettering, however from the early 2000s a new STVA corporate colour (known as “Tomato Red”) was applied across the fleet, with the STVA branding reversed out in white. There are now very few wagons carrying the original livery. 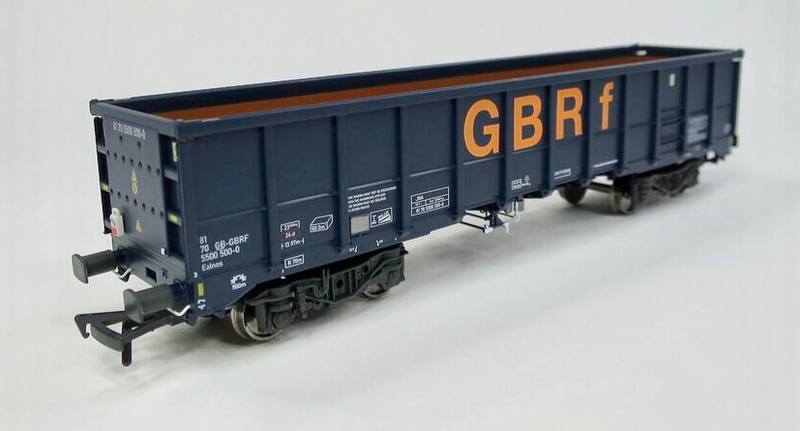 Revolution Trains has received the EP1 sample of the fothcoming GWR/BR(W) 56XX lomocotive by Sonic Models. As can be seen the model features diecast wheels, to allow for two different balance weight types, and numerous separately fitted detail parts. The sample has been assembled from the first components made with the new moulds and is unpainted. It is being assessed for fit of parts and fidelity to CAD drawings and the prototype, and once this is complete a working sample will be produced. This model is not being crowdfunded so we are not yet taking orders. The order book for the 00 MMA/JNA wagons will close at midnight on Sunday April 28th. Livery samples have been approved and the factory is ready to begin production in May. 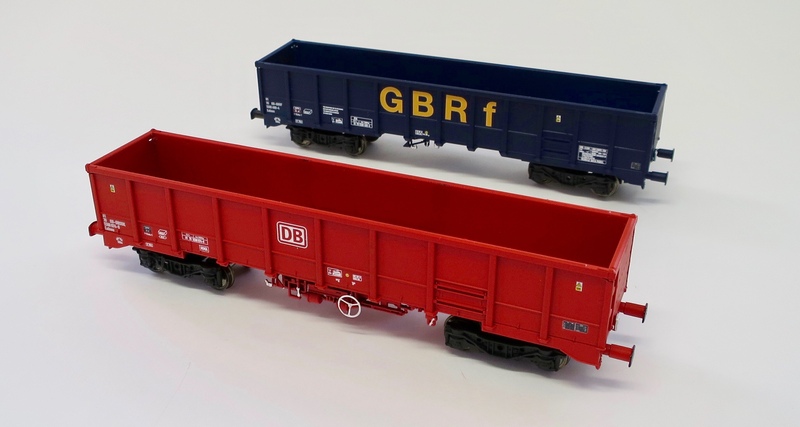 The DB red plus Ermewa and Ermewa/Tarmac grey wagons are available from Revolution Trains here, while the VTG/Mendip Rail silver and GBRf blue are available exclusively from Kernow Model Rail Centre here. 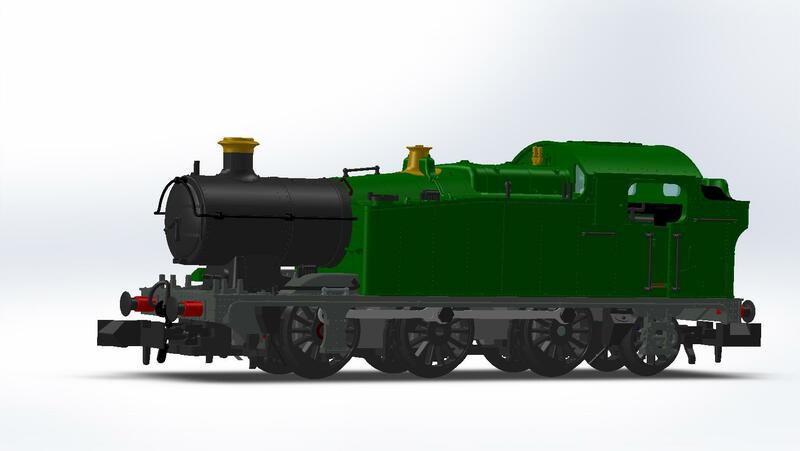 The Sonic Models/Revolution Trains 56XX steam locomotive is now in tooling with EP1 samples expected soon. To whet the appetite, here are a couple of images showing the variations that are being catered for. When built the locomotives had short safety valve covers and original style balance weights. Later, the locomotives were fitted with revised wheels and a longer safety valve cover. The tooling has been designed to cater for both types. 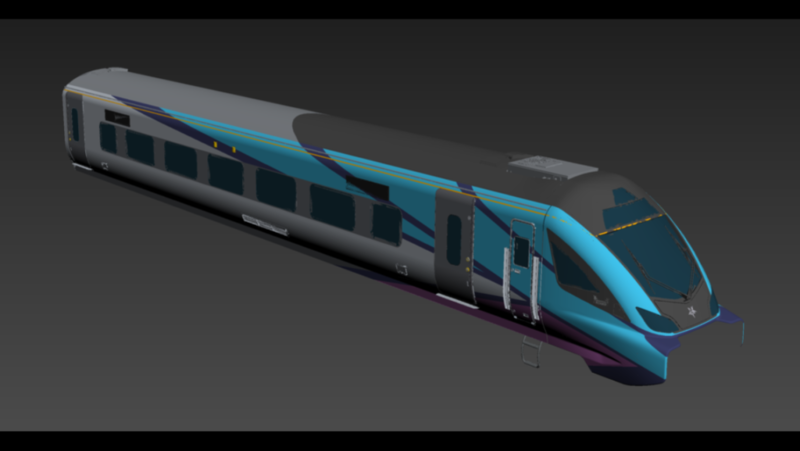 Once the EP1 sample has been thoroughly tested then liveries will be confirmed and deco samples prepared; once these are approved the model will be ready for production. These models are not crowdfunded and are not expected to be available for order from Revolution Trains but instead from our selected partner retailers. 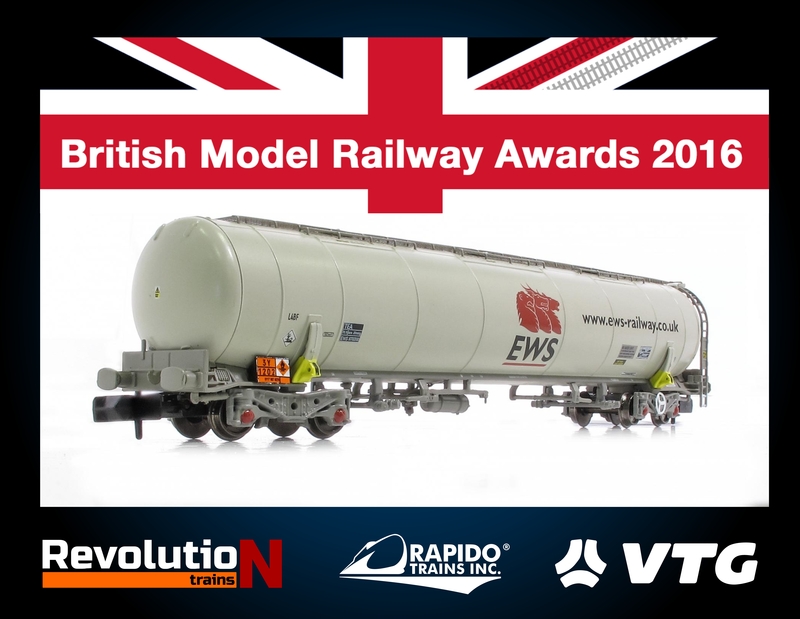 Revolution Trains is proposing another production run of its award-winning TEA fuel tankers in N. These models were voted Model of the Year in both the RM Web and Model Rail polls in 2016, their year of first release, and we have been consistently asked to produce more! This run will include the new VTG aviation fuel variant constructed and introduced since we first produced these models. 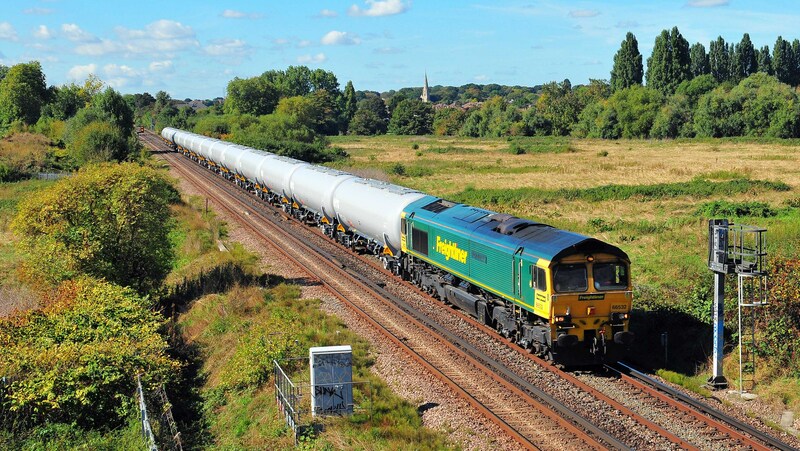 Freightliner 66532 at Craybrook with aviation fuel tanks. Photo courtesy Ian Cuthbertson. The new tanks are slightly different from the versions we previously offered in having no end ladders, shortened catwalks and no separate hazchem placard. Our model will faithfully represent these subtle differences. CAD for aviation fuel tanker showing revised details. The aviation fuel tankers are in an attractive pale grey livery, and at this time traction for the flows is provided by Freightliner. 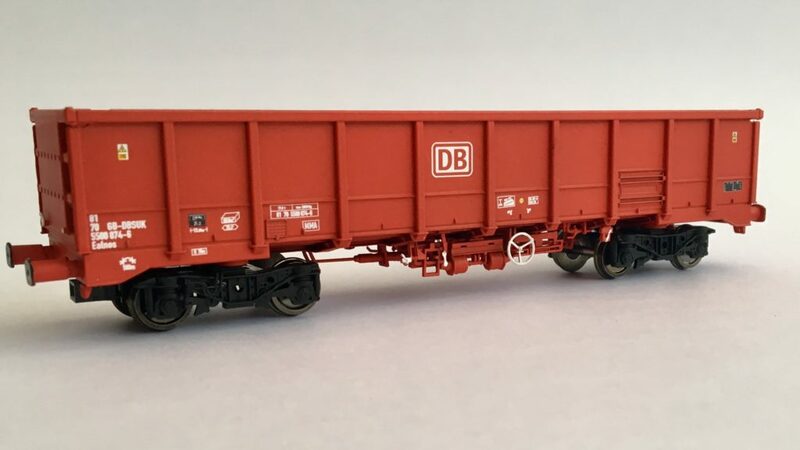 We are also proposing other liveries that were not originally offered, or have been introduced since, including VTG green (these are rebranded ex-Freightliner wagons) and EWS unbranded as some are now in service with DB Cargo. We are also offering all the original versions, though of course only those that reach minimum numbers will go ahead. The VTG-Enviro versions will have different slogans to those produced in the first run, enabling all six variations on the prototype to be covered. 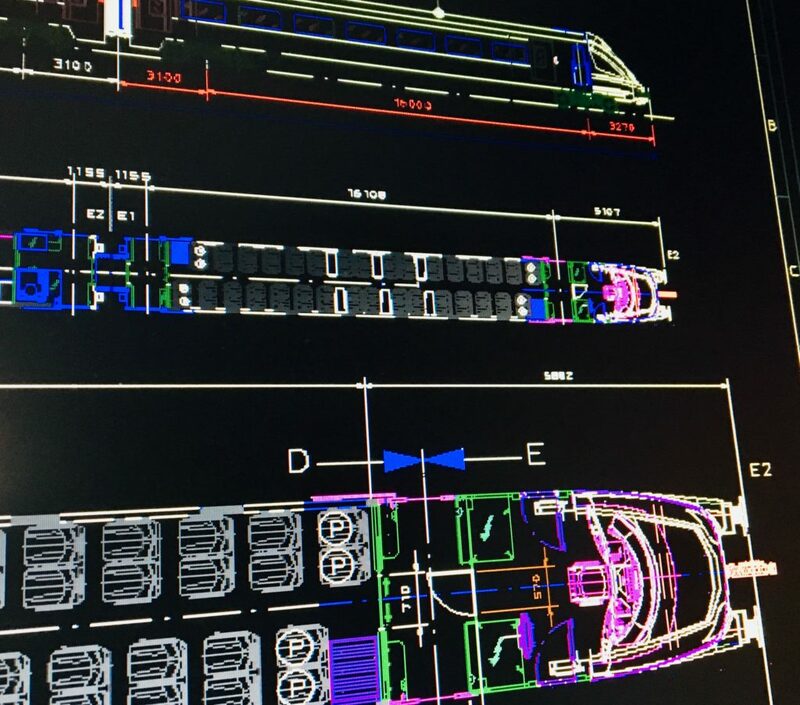 However, please note that due to limitations of the manufacturing process that these wagons will have full length catwalks, rather than the 2/3 lengths catwalks of the prototype. This is unavoidable without adding significantly to the price; it is up to you the modeller whether it’s a compromise you can accept. As ever, we will only produce models where our supporters let us know they are wanted. At this time we are not taking orders, but just asking for expressions of interest. To let us know what you’d like, please click here. 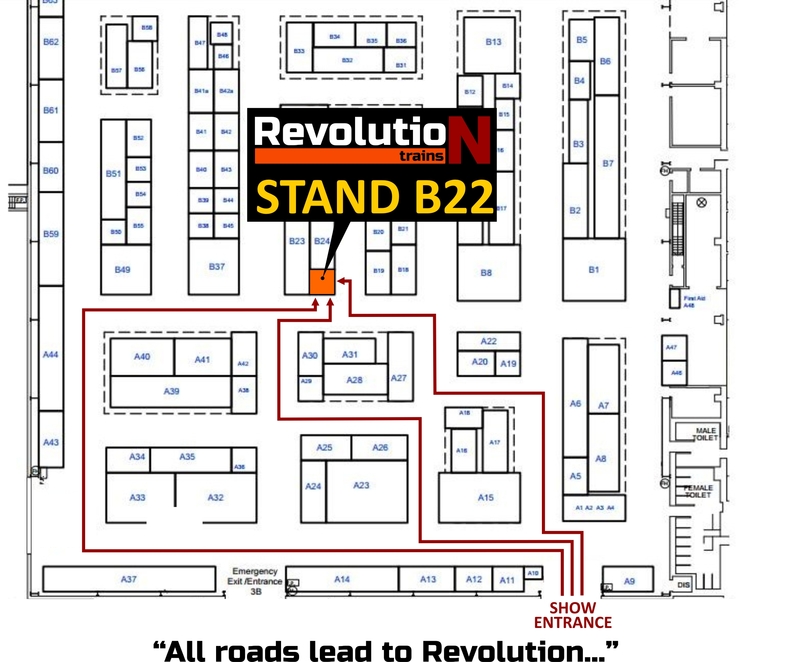 Once again Revolution Trains is delighted to be attending Model Rail Scotland at the SECC in Glasgow, and we look forward to seeing old friends and making new ones on on stand B22. 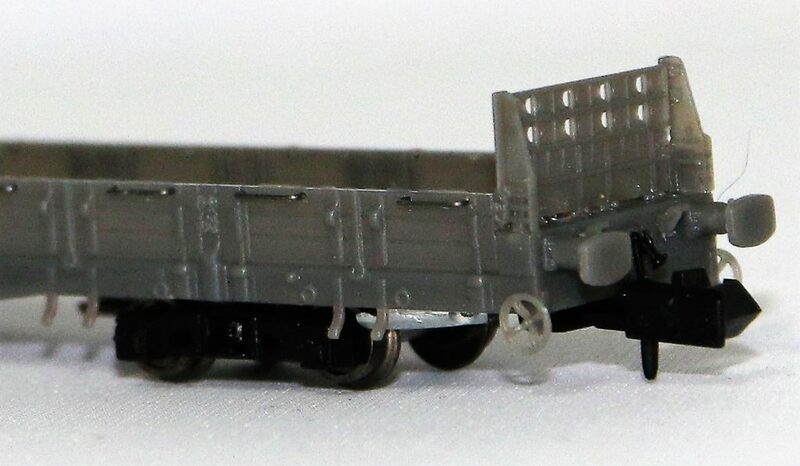 We will have the first EP samples of our forthcoming Sturgeon engineer’s flat wagon in N on display. This model is being produced in two versions – with and without side doors – and both will be on show. These are unpainted test samples intended purely to check the fit and appearance of the mouldings; the next step will be finished, running deco samples. You can pre-order your Sturgeon models here. 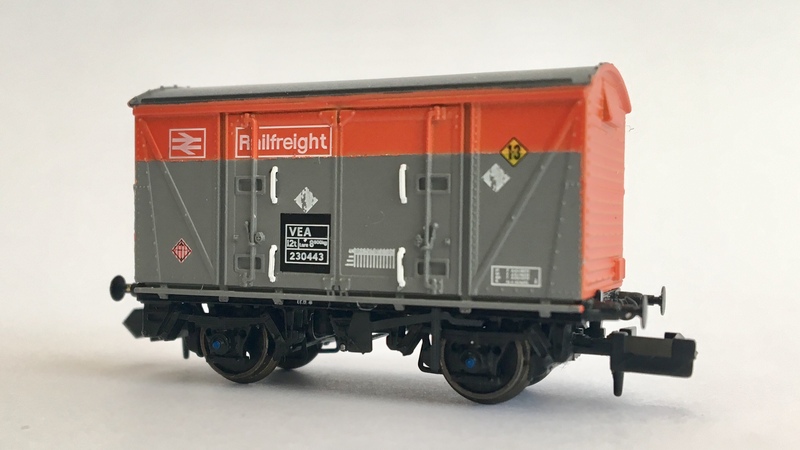 Also on show for the first time will be the Railfreight red/grey and RfD yelllow/grey VEA munitions vans beng produced in association with new entrant Sonic Models. These, along with the original BR Maroon liveried version, are all now in production. 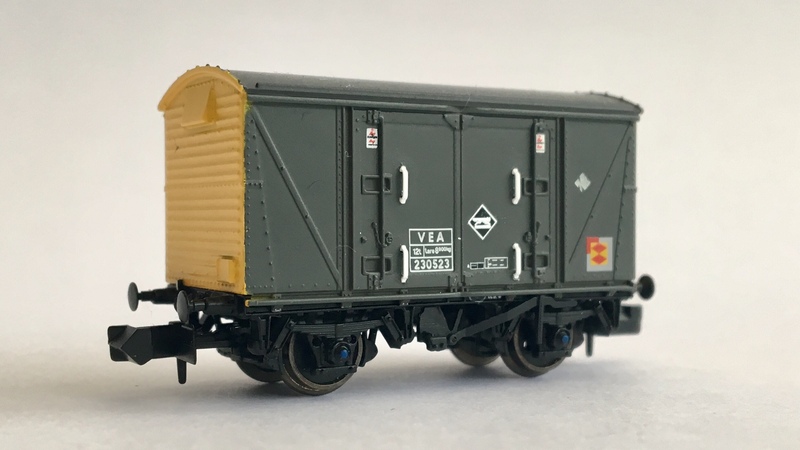 For 4mm modellers we have factory painted samples of our second 00 model, the widely used MMA/JNA box wagons, in DB, Tarmac, GBRf and the attractive silver VTG/Mendip Rail liveries. These were unveiled at Warley fully tooled and are now ready to go into production. Reserve your DB red and Ermewa/Ermewa Tarmac grey ones here, or go to Kernow Model Rail Centre to order these models in GBRf and VTG/Mendip Rail liveries. 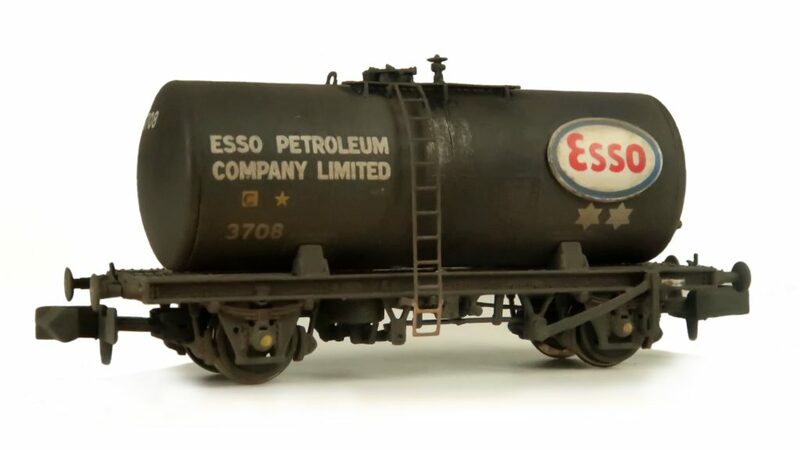 We will also have a small number of Class B tanker triple sets in Esso livery for sale from cancellations as well as limited remaining stocks of our 40′ hi-cube containers and 20′ tank containers, both produced in association with C-Rail. 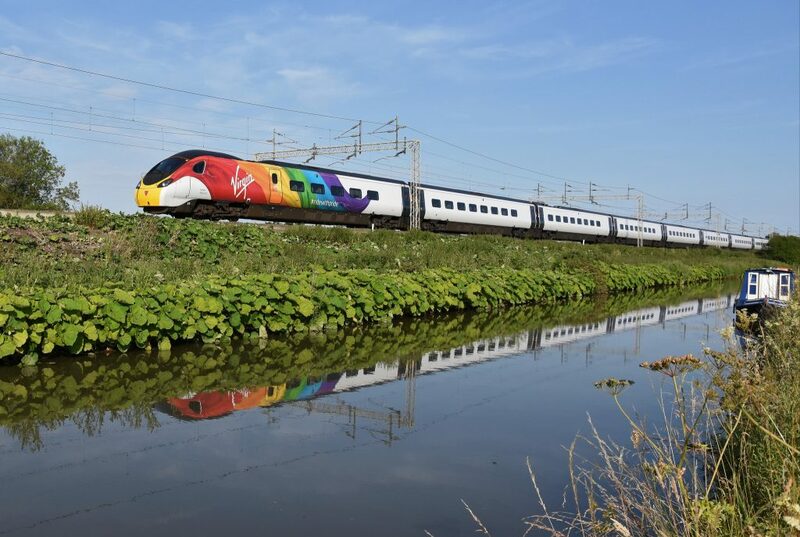 Double whammy for Revolution – and Pendolino the peak! 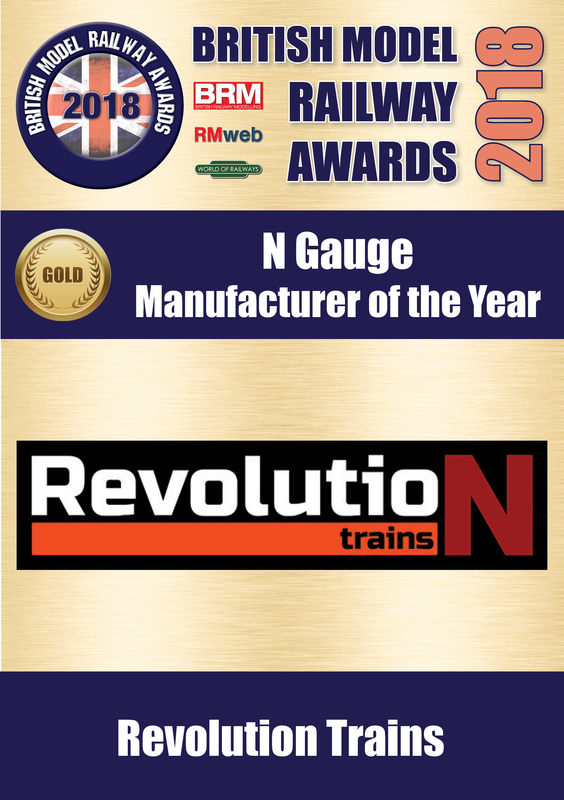 Revolution Trains, with our friends at Rapido Trains, are delighted and proud to have been named “N Gauge Manufacturer of the Year” in the annual poll of readers of Model Rail magazine. The award caps an amazing year for us, in which we were also named N gauge manufacturer of the year in the recent BRM/RM Web awards too. 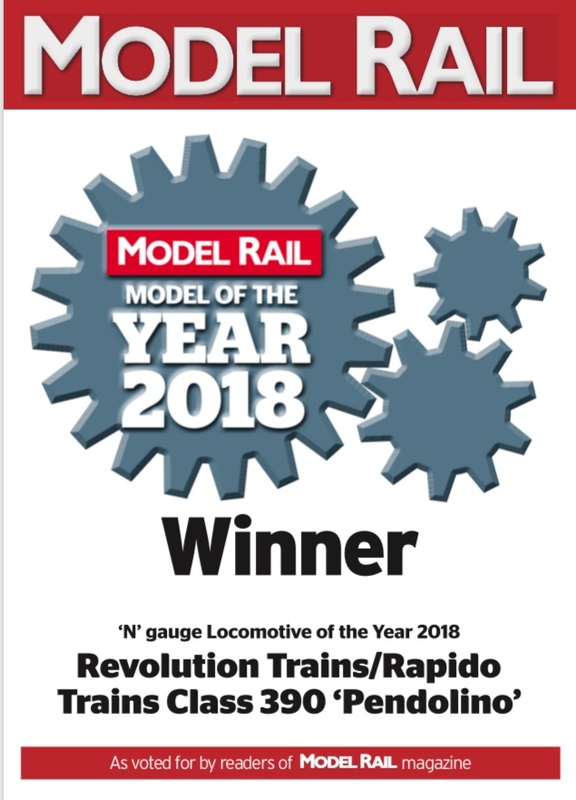 And it’s double-bubble for us as our Revolution/Rapido Class 390 Pendolino in N has been voted as N gauge model of the year too! As ever we’d like to thank Rapido for all their hard work on this project – from showing faith at the start to going above and beyond to develop not just a thrilling new model but also a unique coupler design and numerous all-new features such as working table lamps in first class cars and detachable coupler covers to allow prototypical “drags” for those who don’t have catenary. And of course we would also very much like to thank everyone who voted for us, and pay tribute to the other nominees who produced fine models in what has been a wonderful year for British N.
IF you were unlucky enough to miss out on this gorgeous model first time round, as production is limited, we plan to produce some more soon in Virgin’s new flowing silk colours – now applied to much of the fleet – including the striking Virgin Pride rainbow scheme. Sleeping to Scotland and Across the Pennines with Revolution! 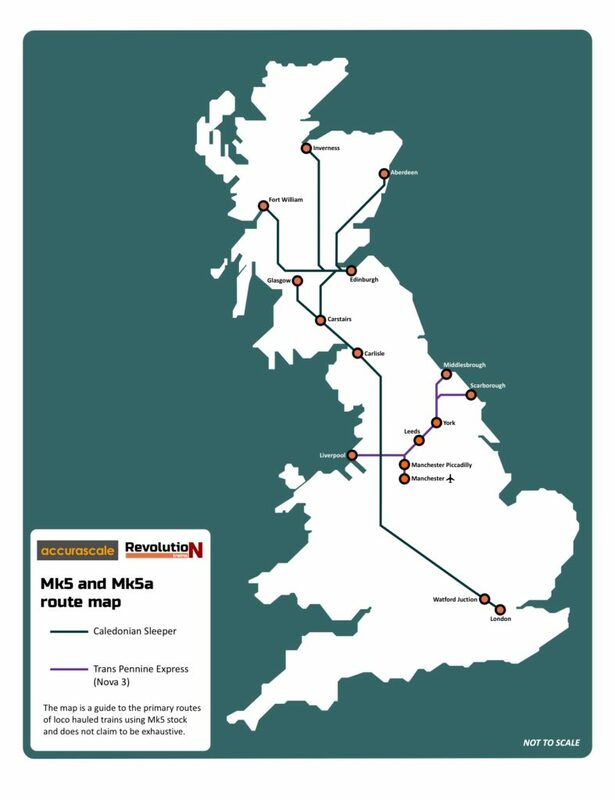 Revolution Trains is proposing Mk5 and Mk5a coaches for N gauge in both Caledonian Sleeper and Trans Pennine Express liveries. 92023 leads Caledonian Sleeper Mk5 coaches on test run at Chelmscote. Photo courtesy Nigel Gibbs. Trans Pennine Express Mk5a “Nova 3” set at Keckwick. Photo courtesy Dave Harris. The Mk5 vehicles are the first new loco-hauled coaching stock (LHCS) to be introduced in Britain since the production of Mk4s vehicles for British Rail’s East Coast Inter-City 225 trains three decades ago. 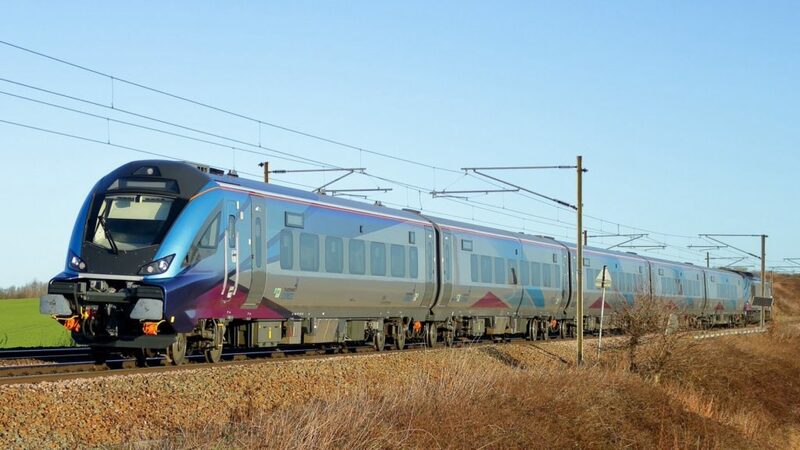 They are in use with two operators: Caledonian Sleeper operates them on Anglo-Scottish overnight services while Trans Pennine Express is introducing them between Middlesbrough, Scarborough, Manchester and Liverpool. Caledonian Sleeper The iconic Caledonian Sleeper runs every night between London and the Scottish Lowlands and Highlands. 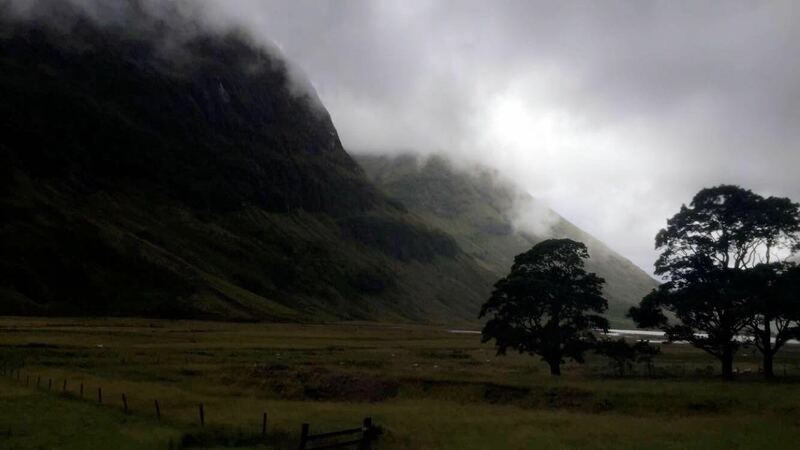 The trains are popular for both business travel and tourism – allowing passengers to fall asleep in the home counties and wake up amid the mists and moors of the majestic Scottish highlands. There are four Caledonian Sleeper trains every night, two in each direction. 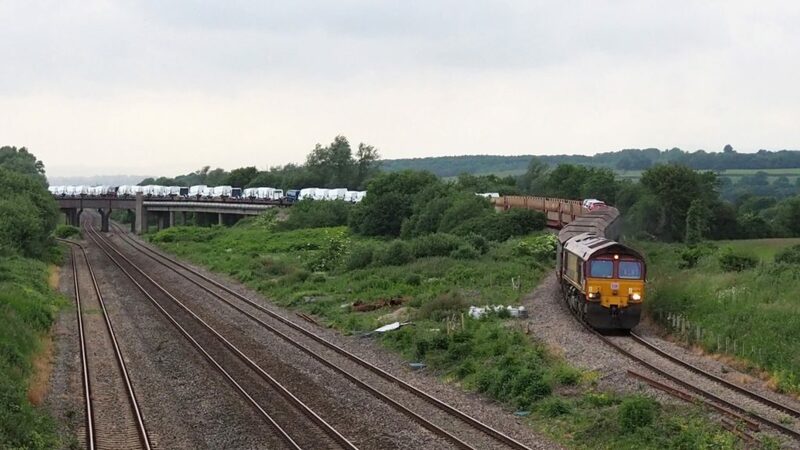 For most of the journey they’re hauled by powerful Class 92 locomotives, making them the ideal accompaniment to the forthcoming Revolution/Rapido Class 92. You can still order a Caledonian Sleeper Class 92 here. 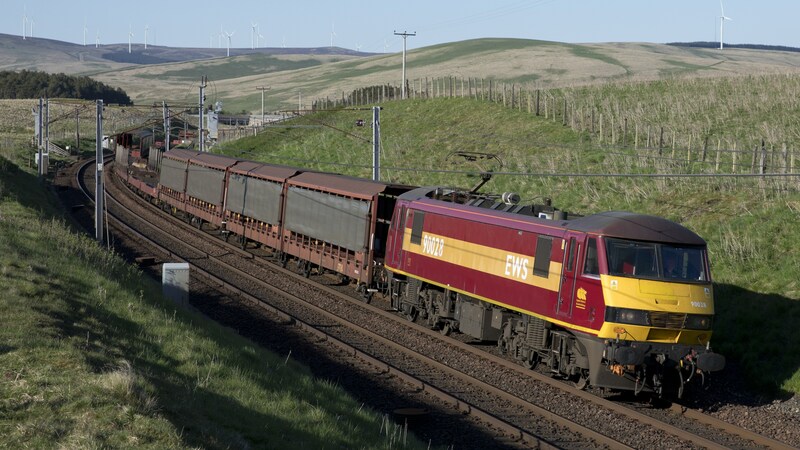 The shorter services in Scotland are usually operated by Class 67 or 73 locomotives. The Lowlander runs between London Euston, Glasgow and Edinburgh. At Carstairs the 16 coaches are split, wth the front half for Glasgow and the rear eight for Edinburgh. The Highlander also comprises 16 coaches, but serves three destinations. At Edinburgh the train divides and then half goes forward to to Inverness, and the rest of the train splits into two further portions: one for Aberdeen and one for Fort William. 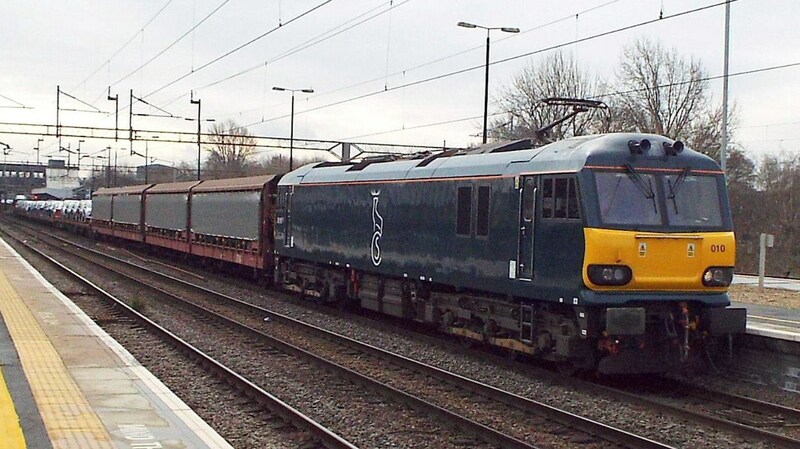 Caledonian Sleeper is replacing the existing Mk2 and Mk3 fleet with a single fleet of the new Mk5 vehicles compromising four different vehicle types: Sleeper, Sleeper (Accessible), Club coach and Seated (Day) coach. Mk5 Accessible Sleeper. These vehicles have both wheelchair accommodation and berths with double beds. These vehicles are all in the company’s attractive Dark Teal colour, with pale silver doors and bodyside antler motif – the prongs of the antlers representing the two Lowlander and three Highlander destinations. 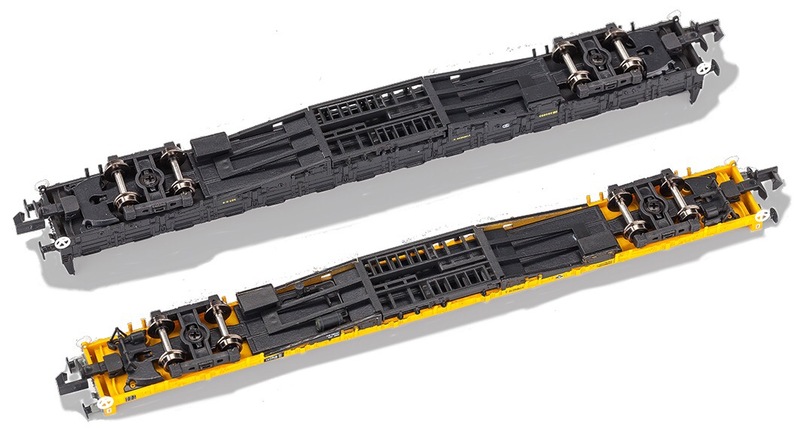 Revolution plans to offer models in attractive book-set cases to allow individual portions, or the complete 16-car Lowlander and Highlander sleepers, to be depicted. These models are being produced with the kind permission of The Scottish Ministers. Trans Pennine Express The TPE sets are used in fixed rakes of 5 between Middlesbrough, Scarborough, Manchester and Liverpool and are powered by Class 68 locomotives, so ours will complement the highly regarded Dapol model. 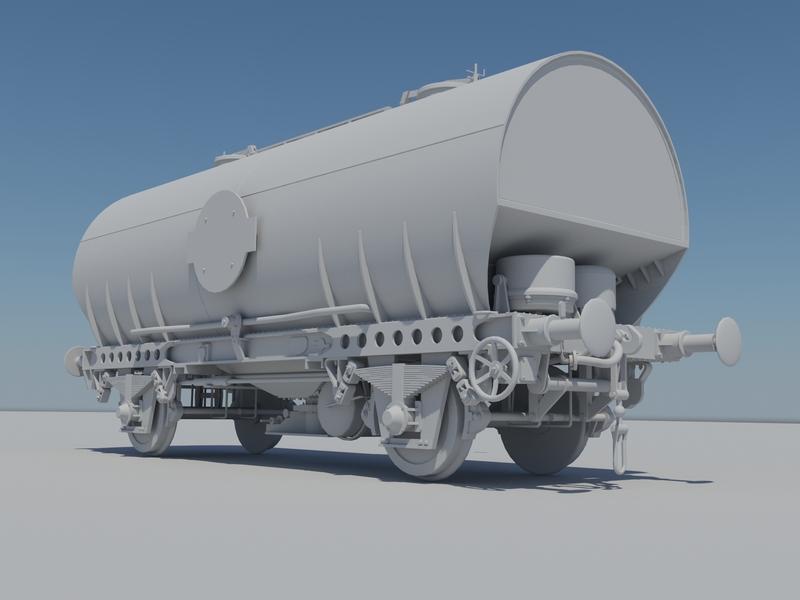 The vehicles are owned by Beacon Rail and we would like to thank them and TPE for their cooperation in enabling us to produce these models. All models will feature detailed interiors, switchable coach interior lighting as standard and where appropriate directional head and tail lights. We are also looking at other exciting features though these are currently still at the design stage. The TPE models will be sold in complete train packs of 5 vehicles, again in attractive book sets. As ever, these models can only proceed if enough people pre-order, and we will be opening the order books for both Caledonian Sleeper and Trans Pennine Express models in due course. This project marks our second collaborative venture with highly-regarded Dublin based manufacturers Accurascale. They are producing the models in 4mm scale, and we are sharing much of the research and development to offer modellers the highest possible quality while keeping overheads down as low as we can. Revolution – the people’s choice! 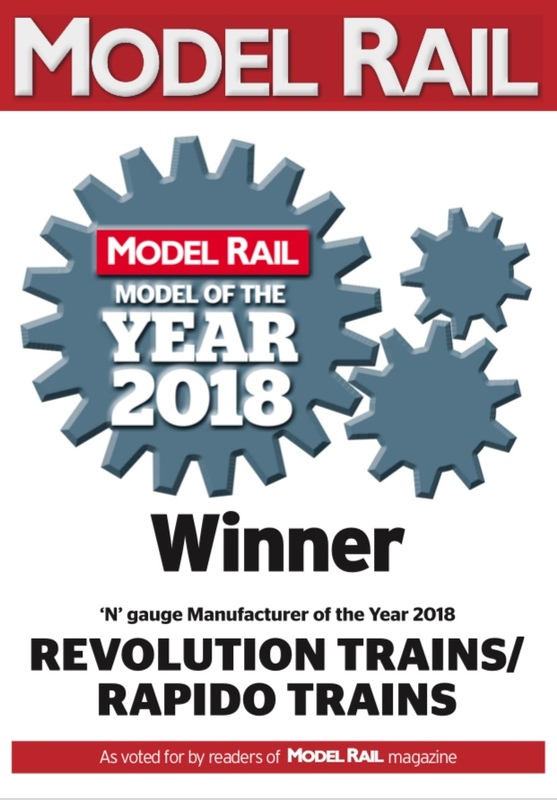 Revolution Trains is delighted and proud to have been voted N Gauge Manufacturer of the Year in the 2018 British Model Railway Awards. What makes it extra special is that these awards are chosen in a poll of our fellow enthusiasts, and we would like to say a huge thank-you to everyone who voted for us. 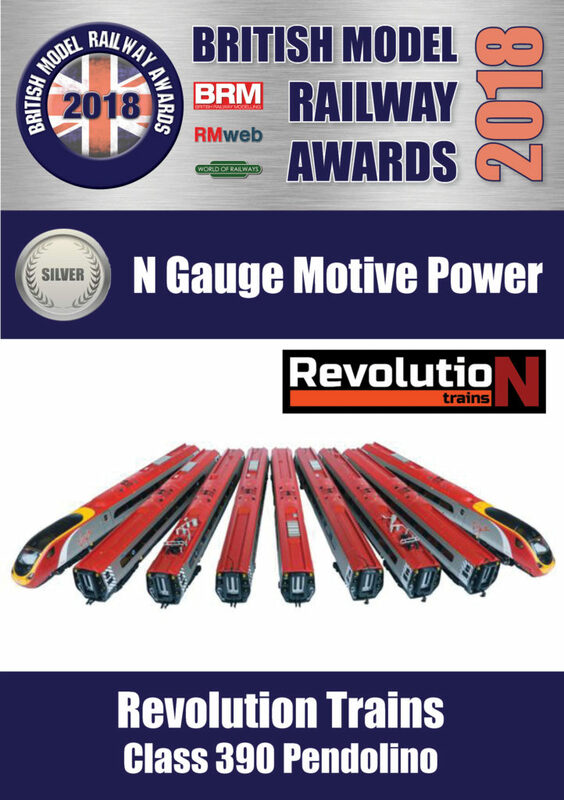 We are also delighted that our N Gauge Pendolino, made by the amazing Rapido Trains, was recognised in the N Gauge locomotive category – unfortunately there isn’t one for a complete train! 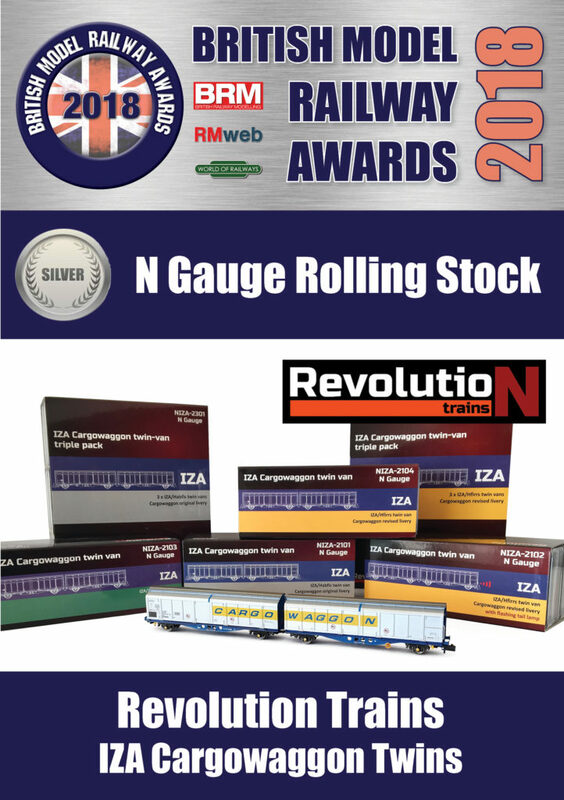 – and our IZA Cargowaggon twins and Class B tankers also received awards in their respective sections. We’d like to also thank all those who’ve supported and helped us during the year. And it’s a pretty long list. On the manufacturing side we have Jason, Gareth and Bill at Rapido, Colin Allbright for his design work, Martin, Sam and Edward. Tom Smith and Paul Bartlett, along with several other photographers, have been very supportive in allowing us to use their images here and for research. We need to say thanks to our helpers – Paul, Gareth, Vic and Abbie – along with our friends in the industry – at Brush, Eversholt, the Severn Valley Railway, Robert at GBRf, Ernie and Carl at Arlington and a couple more who know who they are but can’t be named yet! 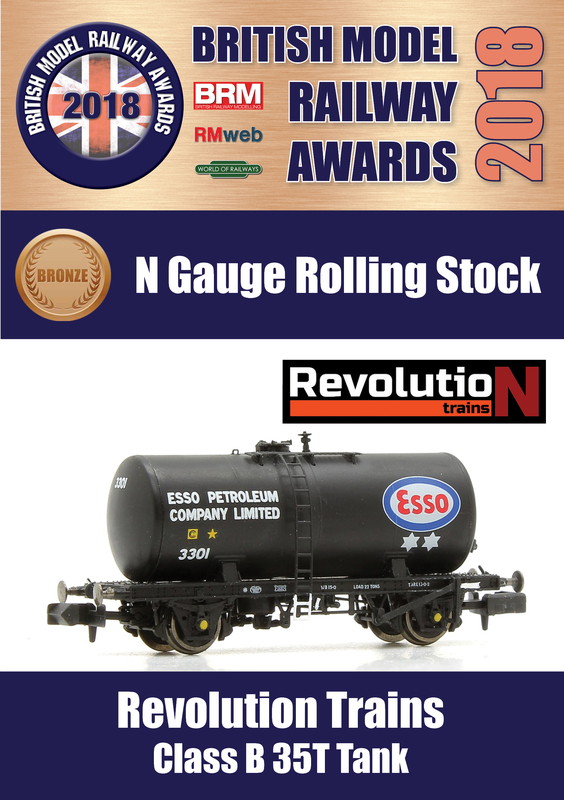 We’d also like to say a huge “well done” to our fellow award winners in all categories – surely there has never been a better time to be an N gauge enthusiast given the quality and variety of models on offer? 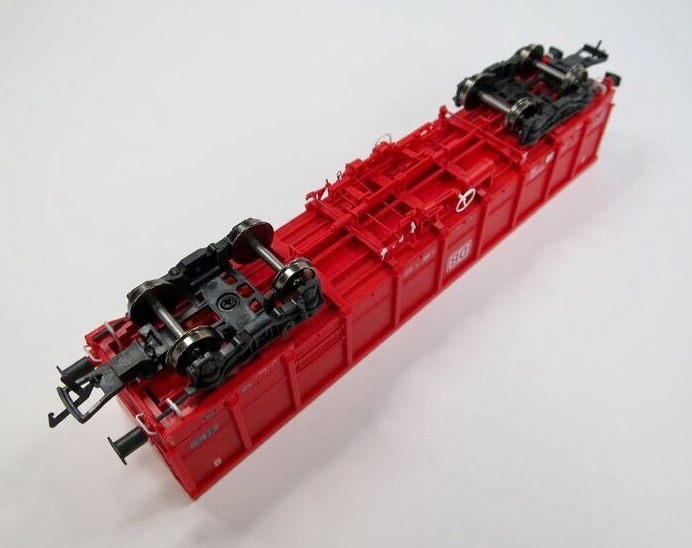 Revolution Trains is teaming up with C-Rail Intermodal again to offer our 1:148 scale/N-gauge 40′ hi-cube container models in the eye-catching bright pink livery of new shipping giant ONE. ONE – Ocean Network Express – was formed last year with the merger of three giant Japanese shipping firms: K-Line, MOL and NYK. 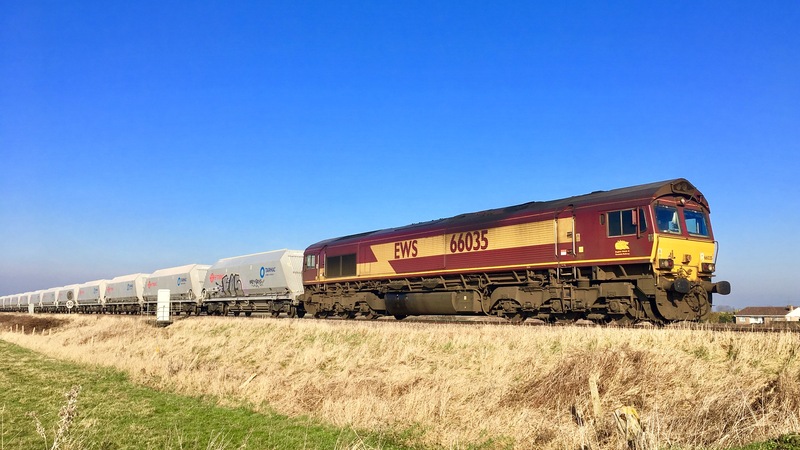 Although barely a year old, their bright pink containers are becoming a familiar sight on intermodal trains in the UK, and the ONE containers are a useful addition for those modelling the currrent scene. 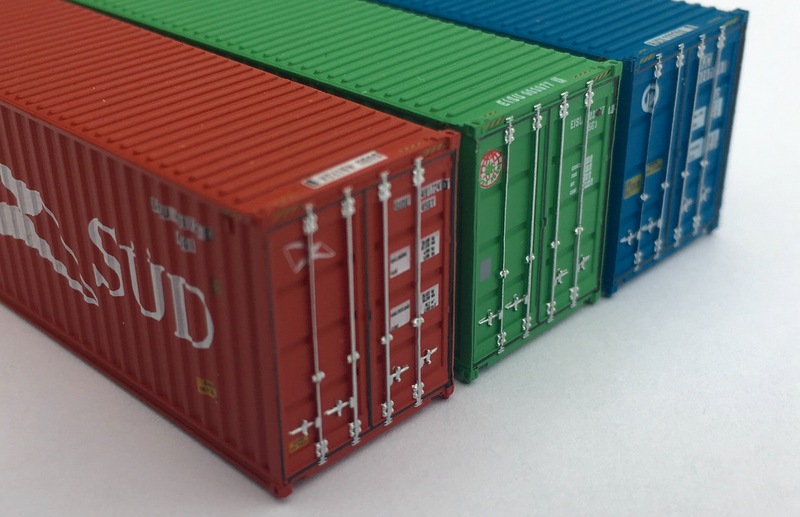 We are also offering the bright orange of Hapag-Lloyd to offer yet more variety for N-gauge intermodal fleets. Formed in 1970, German shipping giant Hapag Lloyd is the world’s 5th largest container carrier (one above ONE above!) 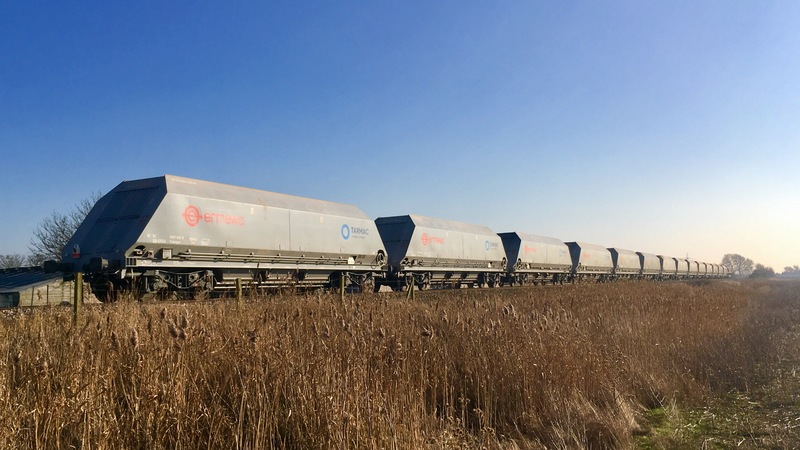 and although the company has seen numerous changes of ownership in the turbulent waters of global intermodal, its well-known orange containers have been a constant presence on British trains for 20 years. Livery artwork has been approved by C-Rail and these models are expected in the next few months. They’ll be available from both Revolution and C-Rail Intermodal and are expected to be priced the same as our previous 40′ containers. All 9 car Pendolino sets £335.00. All prices exclude P&P. As numbers are limited then sales will be restricted to one of each set per customer. These are the only sets that we have – if they are not listed then we have no spare sets. 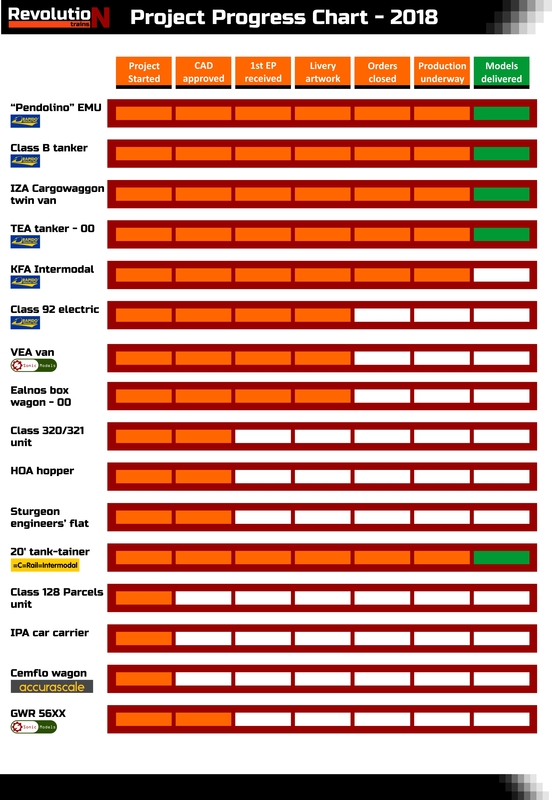 In addition we will have limited stocks of all Class B tanks except Mobil Charrington red. Four models delivered, three new manufacturers identified and two new powered models offered has made for one amazing year! As ever we should acknowledge that we could not do any of this without those who have supported us – with time, with expertise, with generosity but most of all with orders. It is only because modellers are prepared to pre-order on trust that we can make all this happen. And we’d like to say thanks to Rapido Trains for their amazing work, our new manufacturing partner Sonic Models, two other factories we have been using and those traders who’ve supported us including C&M, Cheltenham Model Centre, Collett’s Models, Kernow Model Rail Centre, Plus Daughters, Rails of Sheffield, Osborn’s and Trains4U. In February our first model aimed at transition era enthusiasts – the Class B tanker – arrived. 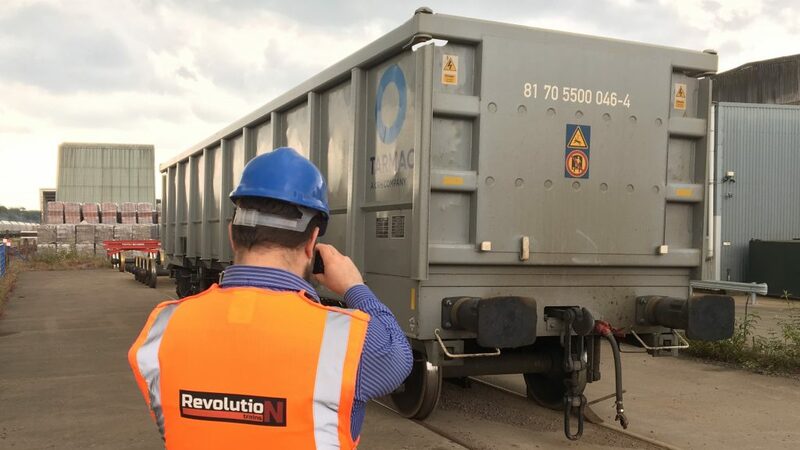 The wagon had struggled to generate enough interest and came close to being cancelled, but when we saw the quality the factory had achieved we were delighted it had made it – and judging from the comments from so were those who’d supported the project! Then, in March, the main event – the arrival of the Pendolinos. This was the culmination of the dream that we and our supporters had bought into back in 2015 when we began the project – and boy did Rapido Trains deliver. Everything about these models was stunning – from the trains themselves to the manual and the book-case packaging. But we had little time to admire the models when there were hundreds of fellow modellers waiting for them – and we’d like to thank our friends Paul Churchill and Gareth Atkinson who came up that first weekend and helped pick, pack and post the first hundred and fifty or so. We also owe a large debt of gratitude to Allen Pearson – inventor of the amazing Nelevation vertical fiddle yard – for kindly allowing us to use his storage unit to keep the Pendos safe. At the York show some customers were able to collect their Pendolinos (thanks Abbie) but the majority were posted. This was a massive task, especially as the majority of the work was done just by the two of us in our spare time. They were dispatched as best we could in chronological order of purchase and we would like to thank all our supporters for their patience waiting for their models. However, seeing an 11-car set tackling the graceful, sweeping curves of Heworth Sidings, by the Yorkshire Area Group of the N Gauge Society, made it all worthwhile! 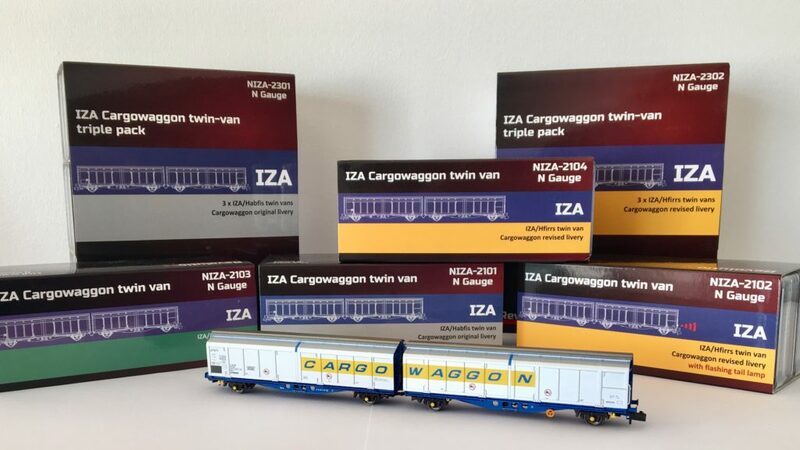 Even as we celebrated the success of the Pendolinos the IZA Cargowaggon twins were en route and they arrived just in time for The International N Gauge Show at Leamington – arguably the premier show of the N Gauge year. At just over a year from announcement to delivery these were our fastest model yet. With the innovative factory-fitted flashing tail lamp option they have proved hugely popular and prompted Kernow to join us in offering a 4mm version which is currently under development. It did mean that our planned TINGS display was slightly obscured by the piles of wagons being collected by customers, but we were able to show painted samples of another new model; the VEA munitions van, which is our first non-crowdfunded model and is being produced in association with Sonic models. Sonic/Revolution VEA vans – painted samples. The man behind Sonic is a former Kader engineer who designed some of Graham Farish’s best N gauge models, and this is the first time a Chinese manufacturer has sought to market their own brand British outline models directly in the UK. We also offered three new models including a second powered model – the Class 128 Parcels diesel railcar in N. The other two were both wagons: the IPA car carrying twin flats – in plain, side-staked and covered versions, and the Cemflo cement wagon in association with Accurascale, the Dublin based manufacturer making a big splash in 00. Both of these are now at the CAD stage, but we have not yet opened the order books. M55990 at Manchester Victoria. Photo courtesy Mark Carter. IPA CAD image – this is the flat version with stakes. By the middle of November we were preparing for the arrival of our first 00 models, the TEA tankers by Rapido Trains, and once again we prevailed on our friend Allen as five large pallets were airfreighted in. Their arrival just in time for the Warley National Model Railway show at the NEC meant that as well as supplying those ordered by Kernow models and Trains4U once again we had to enlist help once again from our friends Paul, Gareth and Abbie to hand out those that customers had arranged to collect. Kernow Model Rail Centre’s Chris Trerise with a small fraction of his TEAs! 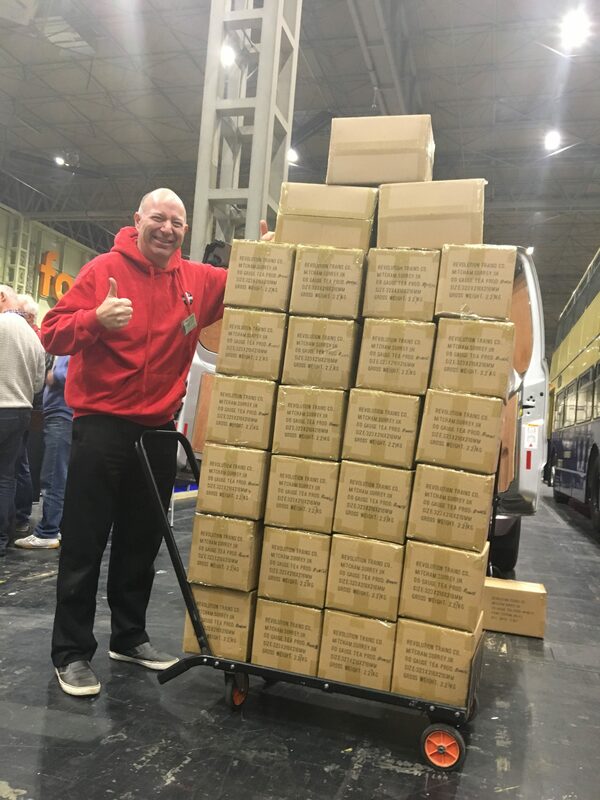 The remainder are being sent out by us but twice the scale means eight times the volume, and the sheer size of the 00 models in comparison to the N gauge products we are used to has meant new packaging solutions and dispatching all the models has taken much longer. Those who visited us at Warley may remember that we were right next to a double decker bus brought in by our friends at Rapido Trains to publicise their latest new model – this gave us an excellent location for a meeting where we were able to examine the final version of the Class 92 locomotive ahead of production and confirm production of another run of Class 390 Pendolinos in Virgin’s latest “flowing silk” livery, as we as more TEAs in N. These will be available to pre-order early in the new year. Class 92 final test sample by Rapido Trains. 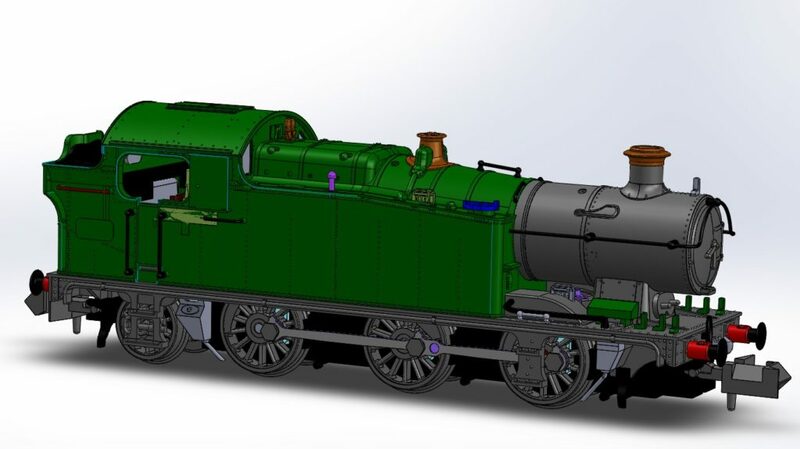 At Warley were were also able to unveil our first steam locomotive – the GWR 56XX in N produced with Sonic models – along with the latest CADs for the HOA hopper and an all-new 4mm model – the MMA/JNA box wagon. These are again not crowdfunded but being produced after we were approached by an investor. We are offering three variants in DB red and Ermewa and Tarmac grey liveries, while models in VTG/Mendip Rail silver and GBRf blue will be available exclusively from Kernow. Handpainted sample of MMA wagon in DB red. 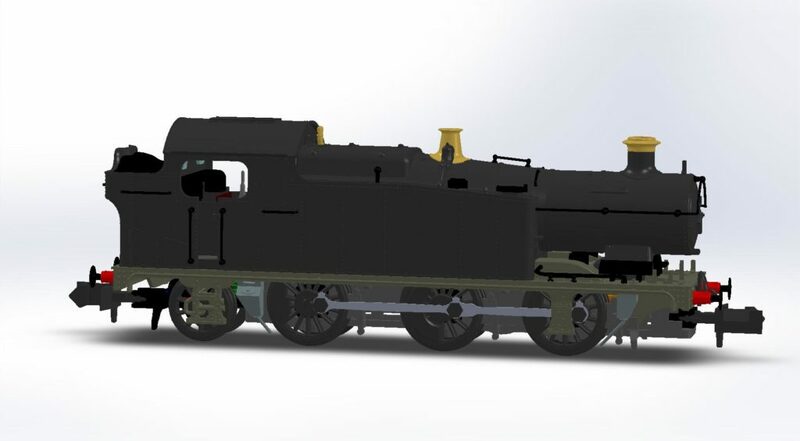 First CAD of 56XX steam locomotive. We also took delivery of the 20′ Tank Containers in N that we produced in conjunction with C-Rail. These, along with the 40′ hi-cube containers last year, have been very well received and we will be producing another new RTR container next year. This came, coincidentally, shortly before we closed the order book for the KFA container flats accompanying them which are in production now. To conclude, here is a quick reference progress chart summarising 2018. We anticipate that the next models to be delivered will be the 00 MMA/JNA, N KFA and N 92. Amazingly, 2019 will mark Revolution’s 5th anniversary (we can’t believe it either!) and we are looking forward to next year being our biggest and best year yet! But as ever, we couldn’t do any of this without our fellow enthusiasts, so once again we’d like to thank you for your support. 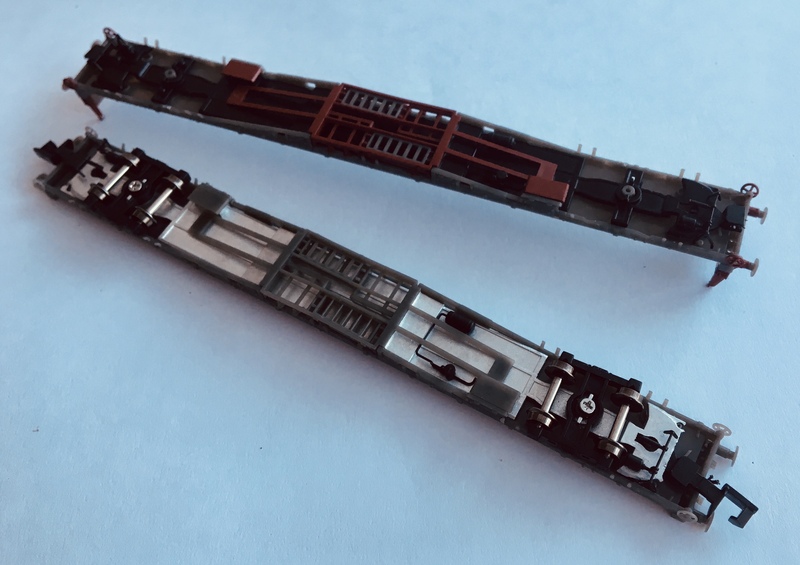 Revolution Trains has now received painted samples of all three versions of its forthcoming VEA van, produced in association with Sonic Models. L to R: BR Maroon, BR Railfreight red/grey, BR Railfreight Distribution grey/yellow. Of the 550 built, the vast majority were outshopped in the popular BR Railfreight red/grey livery. There were numerous variations in the positions of TOPS panels and maintenance labels, and in their use for MoD explosives or munitions many received diamond warning panels – their presence (and the traces where they were torn off) are a distinctive feature. Also available will be the attractive dark grey and yellow colours of Railfreight Distribution (RfD) with small RfD squadron marking and Carlisle Currock depot sticker. Because significantly fewer VEAs appeared in these colours we will only be offering three different numbers. Weathered versions are also planned, and the masters for these are now being prepared. Once all liveries are approved production will begin, and details of where and how you can order these models will appear. With just a few days to go until the Warley 2018 model railway show at the NEC in Birmingham, we would like to invite you all to our stand (D53) to see our latest developments, pick up a catalogue and see our latest samples. We will have the first tooled sample of an all new OO/4mm product (which will be available for order in the Shop section of our website from Saturday morning). 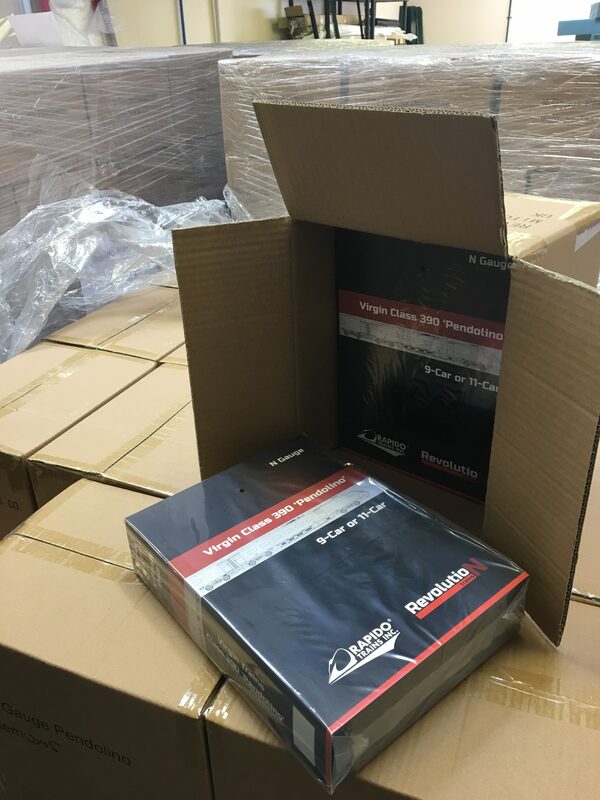 20′ tanktainers – if you pre-ordered tanktainers and would like to collect at the show please bring a copy of your order with you as they arrived just after our deadline for arranging collection in advance, but we will do our best! If you’ve requested pickup of an order then you should have had confirmation – if you haven’t had confirmation then we can’t guarantee that we will have your order with us! If you have had confirmation that we can fit your order in then you’ll be able to pick it up on Saturday or Sunday. 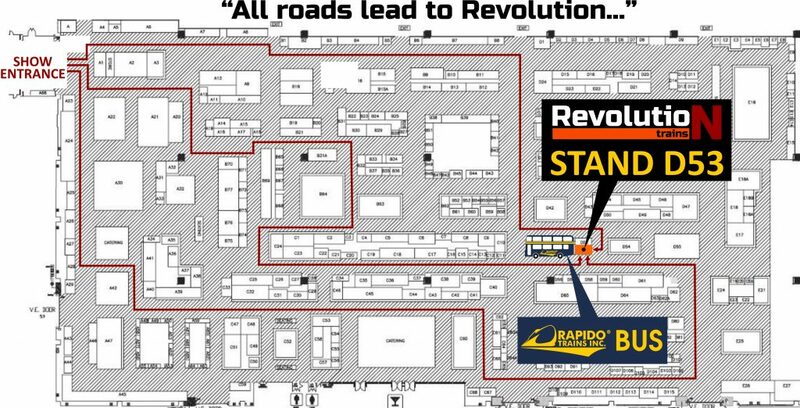 You can find us on stand D53 next to the bus that our friends at Rapido Trains Inc have brought into the show. The CAD for our N gauge Sturgeon wagon is complete and these wagons are ready to start tooling. The order book is now open and we can confirm that the price is £35 per wagon. We issued discount codes with our Class B tanks and IZAs but as the CAD took us longer than anticipated some of the codes have expired, so as a result we have discounted the Sturgeons for everyone automatically (ie no need for a code) by £2/wagon ie £33/wagon until 21 December 2018. We thought that was the fairest way as some people will have old discount codes that they might have lost etc…plus it meant we could offer a £2/wagon discount on singles and triples (the discount codes would have only given £2 off a triple pack not £2/wagon). If you are interested in these models please don’t delay ordering – the faster we reach the funding target the quicker we can get them tooled and into production. One reason the Cargowaggons took less than a year from announcement to production was that customers stepped up very quickly with orders.